This dance season ranges from historic companies to avant-garde artists. 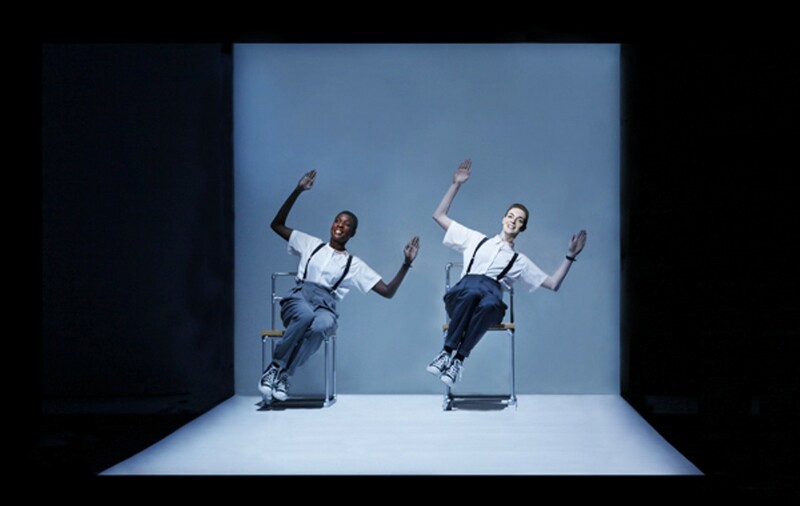 The opera Einstein on the Beach, An Opera in Four Acts, featuring choreography by Lucinda Childs, plays at Cal Performances. The East Bay is home to dance-world luminaries, world-leading innovators, and world-class venues. An especially rich season is about to get under way, with unique opportunities to see historic companies in big halls, experience avant-garde creativity up close, and meet the legends who live around the block. So limber up and leap in. During the third annual Fall Free for All (Sept. 30), an open house on the UC Berkeley campus, wander among the venues to see dozens of artists, including Chitresh Das Dance Company, Gamelan Sekar Jaya, Lily Cai Dance Company, and San Francisco Taiko; the event draws about 10,000 people, so arrive early. Boasting twice as many events as last year, the official Zellerbach Hall (Bancroft Ave. below Telegraph Ave., Berkeley) season begins in spectacular style with the Mariinsky Ballet & Orchestra — still commonly referred to by its Soviet name, the Kirov, and arguably the world's finest classical ballet company — in the full-length Swan Lake (Oct. 10-14). Mark Morris Dance Group rings in the holidays with The Hard Nut (Dec. 14-23), an irreverent twist on The Nutcracker that entails drunken swingers, disco, a drag-queen housekeeper, and copious amounts of confetti snow. The Joffrey Ballet brings three pieces, including Kurt Jooss' legendary 1932 antiwar protest piece The Green Table (Jan. 26-27), followed by its cross-town cohort Hubbard Street Dance Chicago in a trio of works, including a collaboration with San Francisco's Alonzo King (Feb. 1-2). Trisha Brown Dance Company, led by the legendary postmodern choreographer, performs new and revived works (Mar. 15). Alvin Ailey American Dance Theater (Apr. 23-28) returns under new Artistic Director Robert Battle, who is already taking the company in exciting new directions. The season wraps up with the West Coast premiere of Rodin, a dance-drama by Russia's theatrical, high-concept Eifman Ballet of St. Petersburg (May 10-11). Shawl-Anderson Dance Center (2704 Alcatraz Ave., Berkeley) is both host and subject of Move Here (Oct. 19-20 & 27-28). The show marks the choreographic debut of Fog Beast, a collaboration between Andrew Ward and Melecio Estrella, who dance with the Joe Goode Performance Group and Project Bandaloop, with video media artist Jono Brandel. Part of Shawl-Anderson's Dance Up Close/East Bay program, this "movement in context" is both a contemporary dance performance and an immersive journey through the physical and spiritual spaces of the studio. The Bay Area's longest-running performance series, Works in the Works (Nov. 10-11 & 17-18) invites about two dozen artists to present works in progress at Eighth Street Studio (2525 Eighth St., Berkeley), then discuss their performance with viewers. This season's lineup was not available by press time, but previous years have been moderated by Joan Lazarus, Mo Miner, and Nina Haft and featured Dana Lawton Dances, Ruth Botchan Dance Company, Project Tremolo, and many more, in a different roster each night. In addition to The Hard Nut (see Cal Performances, above), there's plenty of homegrown merriment to enjoy. Diablo Ballet sets the mood with its first holiday extravaganza (Nov. 16-17), at the Lesher Center; the show includes the Latin flair of Lento a Tempe a Appassionato, by choreographer Vicente Nebrada of Ballet Nacional de Caracas, and the world premiere of A Swingin' Holiday, set to live big-band tunes from the 1930s and '40s; 925-943-1775 or DiabloBallet.org. The Lesher Center is also home to Contra Costa Ballet School's The Story of the Nutcracker (Nov. 29-Dec.1); created for the short-attention-span set, it tells the tale in under one hour, complete with musical highlights, the famous dance sequences, and lavish costumes; 925-943-SHOW (7469) or ContraCostaBallet.org. Oakland Ballet Company wraps up the festivities with the waltzing snowballs, dancing peppermints, and other enchantments of Graham Lustig's The Nutcracker (Dec. 22-24), a full-scale production accompanied by a live orchestra and performed in the glorious Paramount Theatre (2025 Broadway, Oakland); 800-745-3000 or OaklandBallet.org.